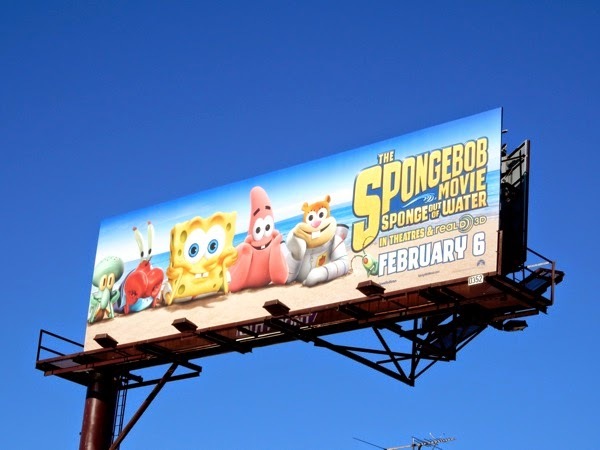 In February SpongeBob SquarePants is taking a gigantic leap out of water from the bottom of the ocean in his TV cartoon series onto the big screen along with his friends and a whole new look. 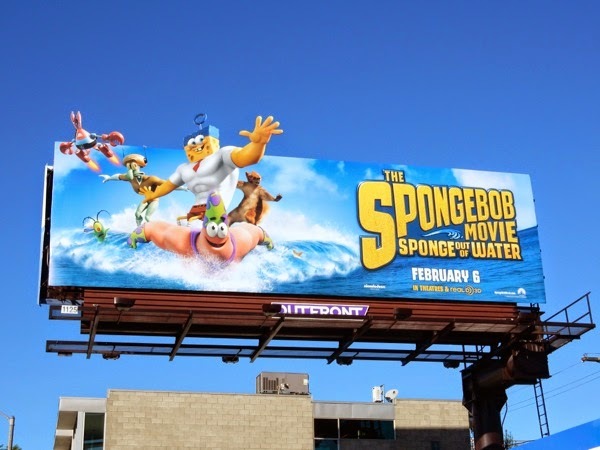 His new feature-length motion picture is a mix of live-action and computer-generated characters and to make a big splash before the film opens this fun, bubble-blowing billboard can be found along the Sunset Strip in West Hollywood. 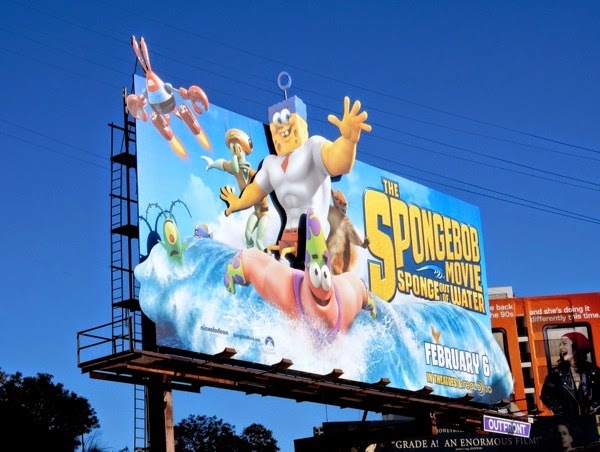 Daily Billboard bets that someone has been waiting for ages to employ this particular bubble machine gimmick and this kids film is the perfect vehicle for it. 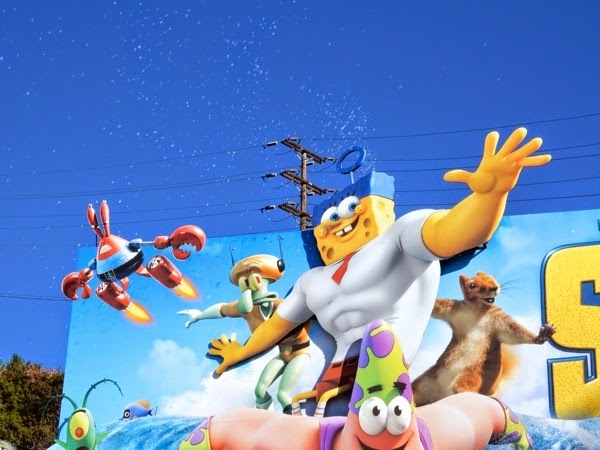 The colourful fun-filled ad creative is already eye-catching, but the addition of the bubbles just makes you smile even more. 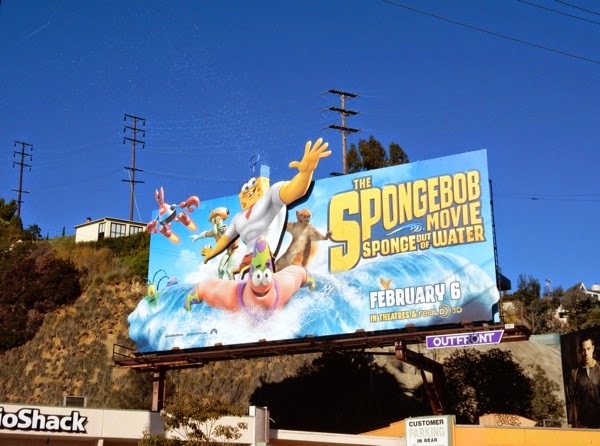 The Nickelodeon TV star is certainly making waves in our world, as in this new adventure he and he pals have to become superheroic to take on Antonio Banderas as an evil pirate, 'Burger-Beard'. 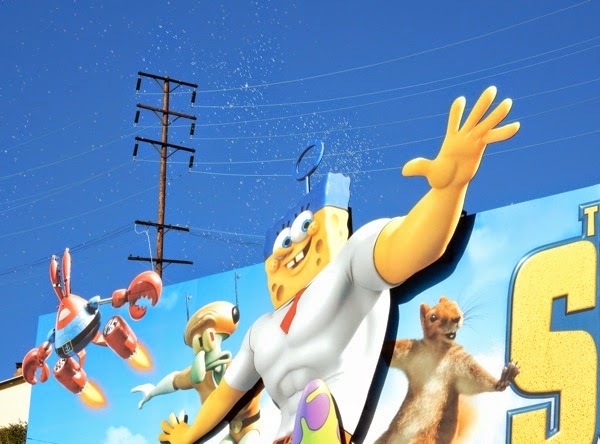 This fantastic billboard installation was first spied on December 31, 2014 and snapped creating a real spectacle with working soap bubbles on January 5, 2015. 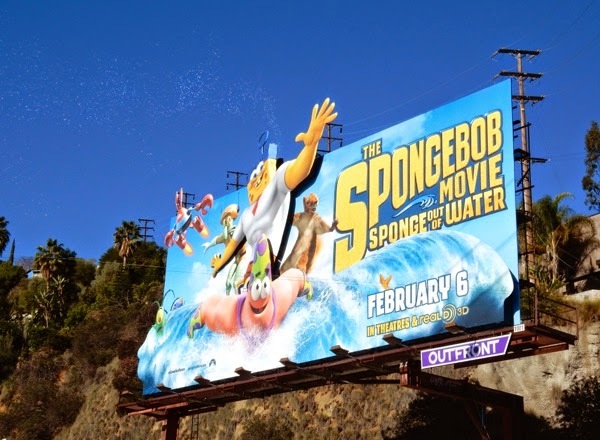 What a creative way to start the New Year (and is certainly an early contender for a BAB Award), and Daily Billboard is pleased to announce it's not the only outdoor ad grabbing our attention at the start of 2015, so stay tuned for even more great stuff to come. 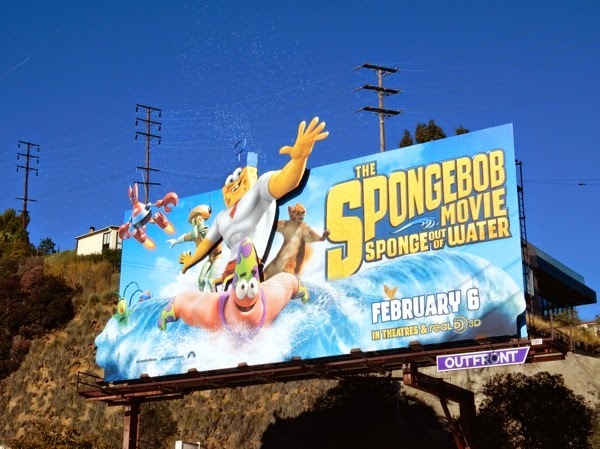 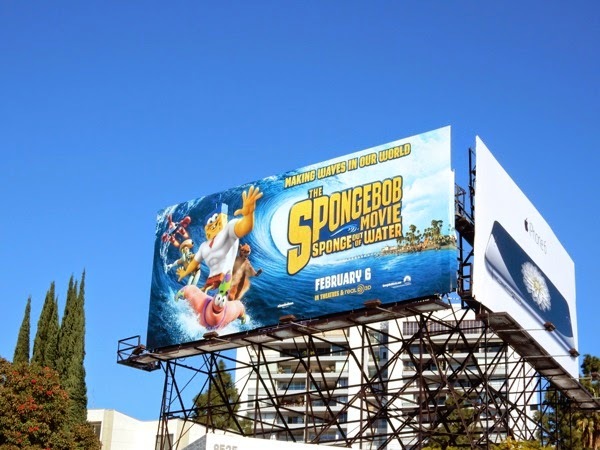 UPDATED: Plus here's a look at a standard special extension billboard for the Spongebob movie (without the soap bubbles), snapped along Melrose Avenue on January 15, 2015. 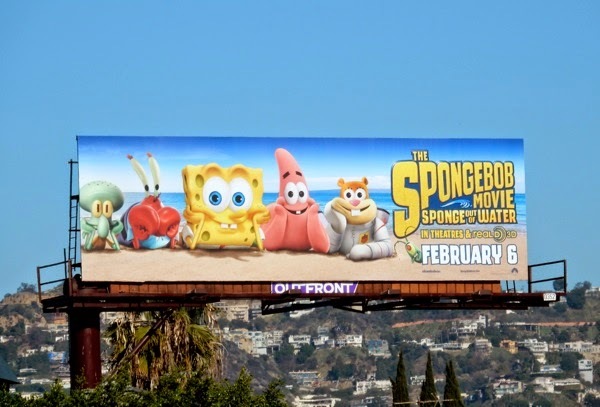 UPDATED: Here's another billboard creative for the new movie, this time with the more familiar looks of SpongeBob SquarePants and his pals instead of their surfing super-heroic alter-egos. 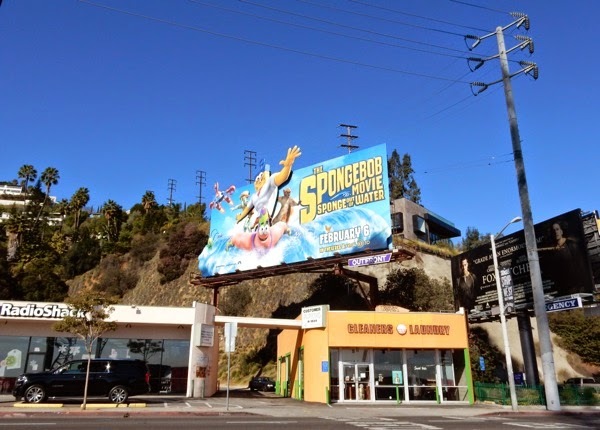 This beach version was spied along La Cienega Boulevard, whilst a standard version of the surfing creative was snapped along Santa Monica Boulevard in West Hollywood on January 24, 2015. 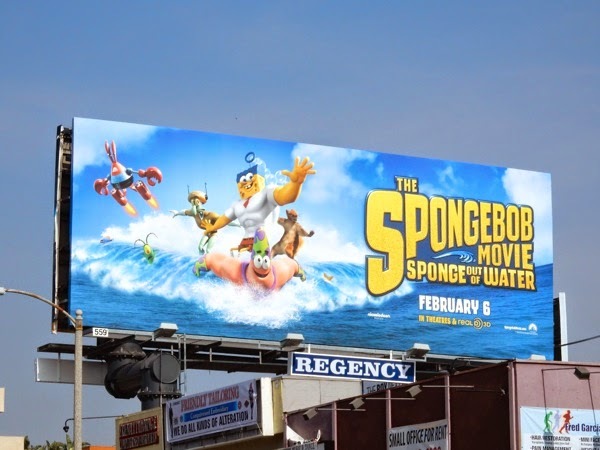 UPDATED: Here's another slightly tweaked surfing ad creative for the movie spied along Robertson Boulevard on February 4, 2015. 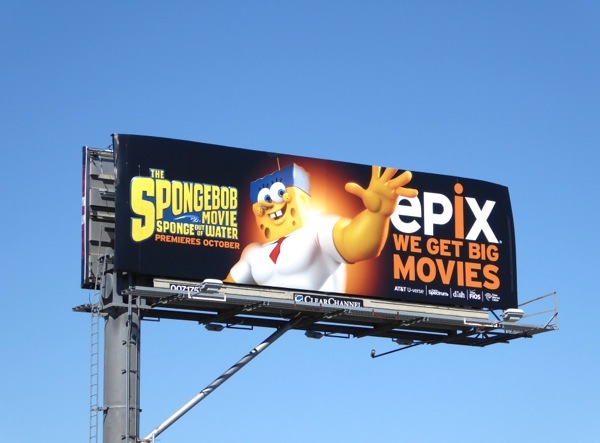 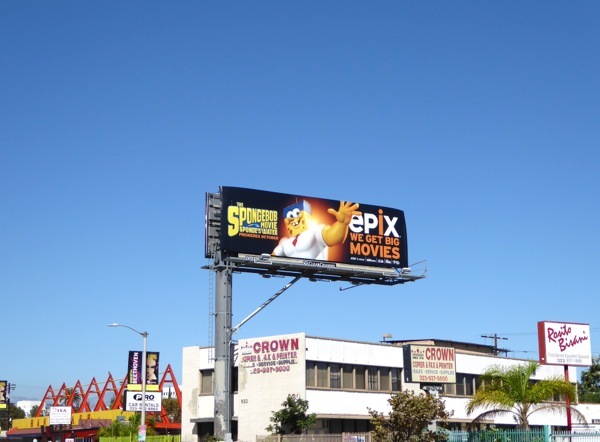 UPDATED: In addition here's the Epix billboard for this SpongeBob movie, snapped along La Brea Avenue on September 13, 2015.